Did you know that The Chunky Needle will be running arm knit workshops at this summer’s Lakefest? Yes TCN will be camping alongside all the music lovers, knitting by day, dancing by night. Go to LAKEFEST for more information. We’ve been asked time and time again about our slogan t’s. Well now you can have one too! Click HERE to order your very own Chunky Needle branded tee. Thanks to Love Nellie, Lynne Lambourne and her fantastic sustainable garden design, a Chunky Needle throw has been included in her gorgeous Ideal Home Show garden over this weekend at Olympia, London. Definitely worth checking out. Mar 22-25th London. Select a special merino wool blend for your next bespoke project. Go to the Bespoke Shop to order. The Chunky Needle is excited to have joined forces with My Nordic Room out of Copenhagen, Denmark as they launch their new webstore in the coming weeks. 20 Chunky Needle blankets will be available for purchase via their website. Stay tuned for more update. Celebrate the festive season by decorating your home with this beautiful hand crafted collection. View collection HERE. Our newborn has arrived. Customise the ultimate in baby luxury. Shop now in the Bespoke Shop. The ultimate in hygge liftestyle is this chunky square. Available in two sizes and 42 colours. Go to the SHOP here. Massive savings up to 60% off on our Ready Made blankets and cushions. Sale launch Friday August 24th at 9AM. Set you alarm! Super excited to collaborate with Meggie's Stow-On-The-Wold for our first workshop evening on Thursday August 9th at 18:30pm. Tickets cost £55pp and you will walk away with your very own handmade 14" merino wool round cushion. Go to our Work Shop for ticket information. Today we launch our very own branded chunky knit needles. Head over to our Tool Shop to order yours and start making you very own Chunky knits!. Wow! What can I say? I am completely gobsmacked that we've made it into the Muddy Stilettos Awards as a finalist alongside 4 other amazing interior retailers! Voting starts today at 10:30 and concludes Friday May 18th. Please take a moment and support me and my new little business by voting HERE. 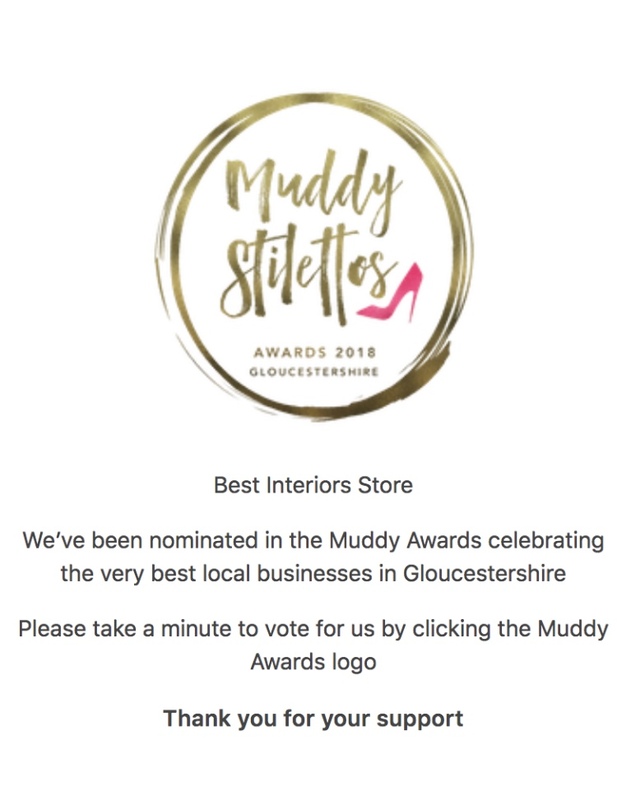 The Chunky Needle is so excited to announce that we've been nominated in the Best Interiors Store category in the Muddy Stiletto Awards 2018! Be sure to nominate us further in order for TCN to get to the next round of voting. Click HERE to vote for us today! Today marks the final day to enter the Blue Hue MyStylishSpace contest on Instagram. Follow us @thechunkyneedle.com for more information on how to enter by 5pm today. The winner will receive this Borden single rib, 100% merino wool 40" x 60" blanket in Cyan. Time is running out!